MMFF 2015 box office results as of January 3, 2016, the 10th Day of the festival, have just been released by the organizers. Total MMFF 2015 box office gross receipts is now P915-million after 9 days, up by 12% than last year's collection in the same period. 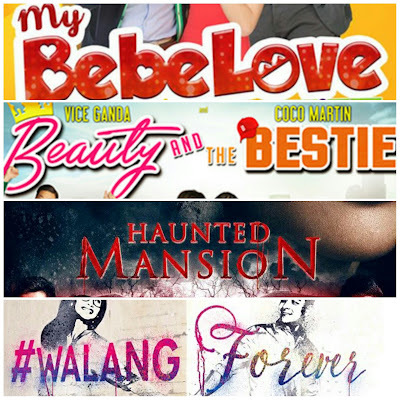 Still the 4 top-grossing films, in no particular order, are 'My Bebe Love', 'Beauty and the Bestie', 'Haunted Mansion' and '#WalangForever'. 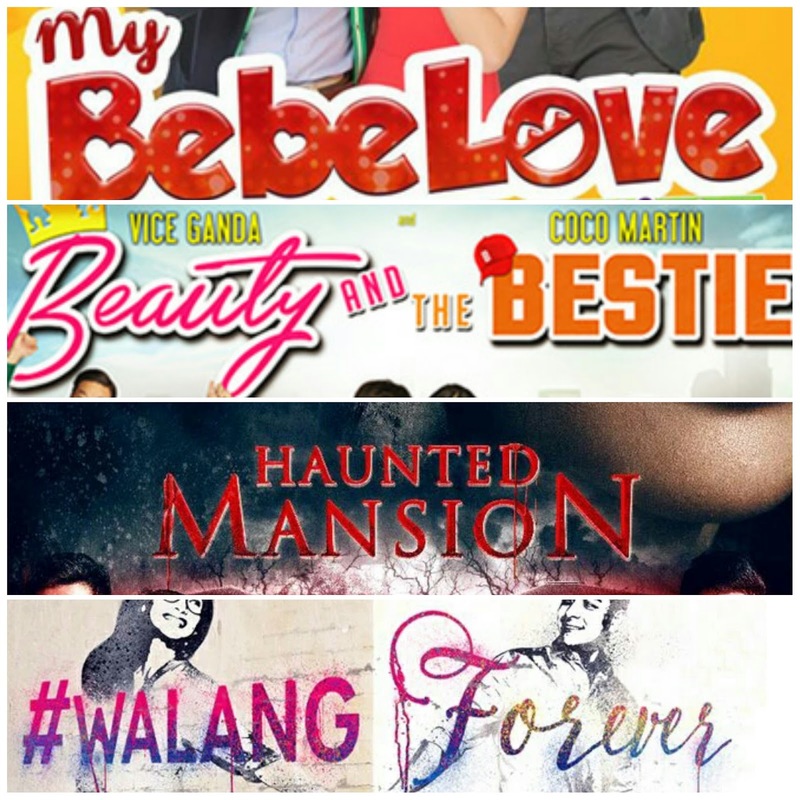 Figures for each film have not yet been revealed, but my sources claim that two of the entries now both have over P300-million gross income ('Beauty and the Bestie', 'My Bebe Love'), while one has already crossed P100M ('Haunted Mansion'). Two entries are still in the P50M-P100 range, while the bottom 3 sadly are far behind, with below P50M even when their grosses are combined. TV Patrol however reported earlier that the exact ranking of the Top 4: 1. Beauty and the Bestie 2. My Bebe Love 3. Haunted Mansion 4. Walang Forever. It further stated the Vice Ganda-Coco Martin movie was the top grosser on New Year's Day, and eventually dethroning the Vic Sotto movie as the #1 entry when all the grosses are combined from Dec. 25 to Jan. 2. The MMFF 2015 ends on January 7, 2016, and is expected to top last year's final gross of P1.014-billion.